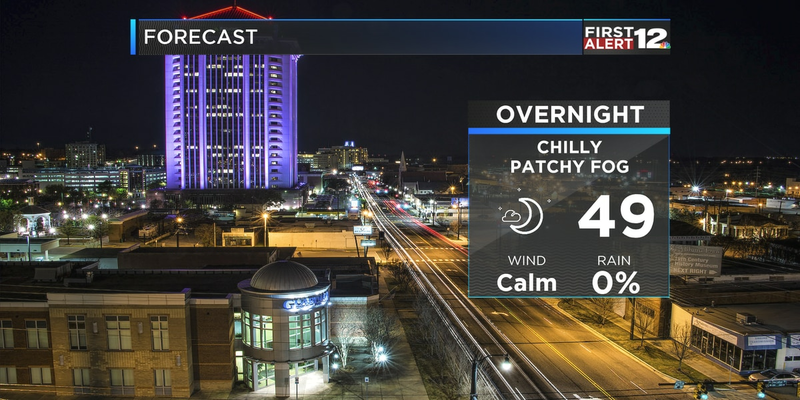 MONTGOMERY, AL (WSFA) - Drier air arrives soon in Alabama; the risk of rain is very small for Saturday and even smaller on Sunday. The sky looks to slowly start to clear for all of those Friday Night Fever games, but as you head out to watch some local high school football make sure you check your First Alert weather app because a few showers are still possible. This system will be gone by the weekend. Cool air aloft could spawn a few light and spotty showers in northeast Alabama, but our area should stay mainly dry. We’ll mention a tiny chance of a quick sprinkle Saturday, but odds favor more dry weather than wet this weekend. 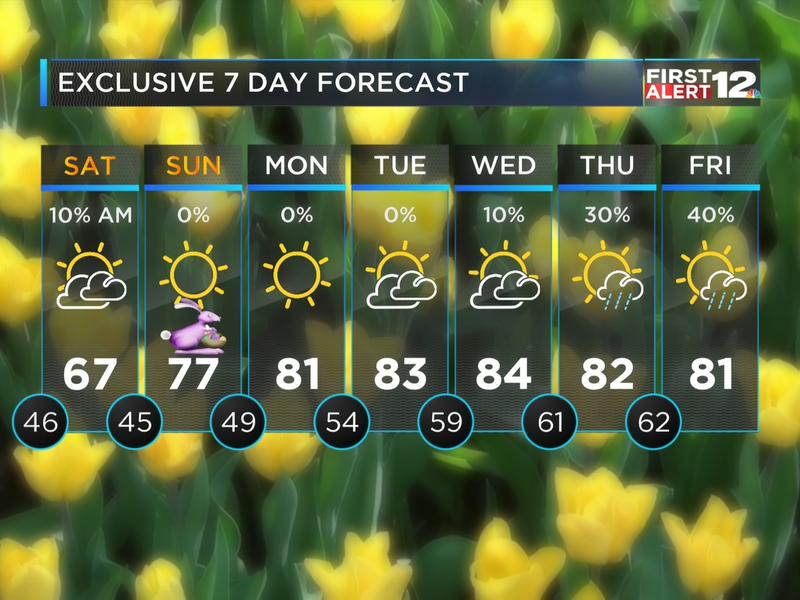 Comfortably cool and dry weather headlines the forecast Sunday through Wednesday, then our next front will bring rain to the state on Thursday. 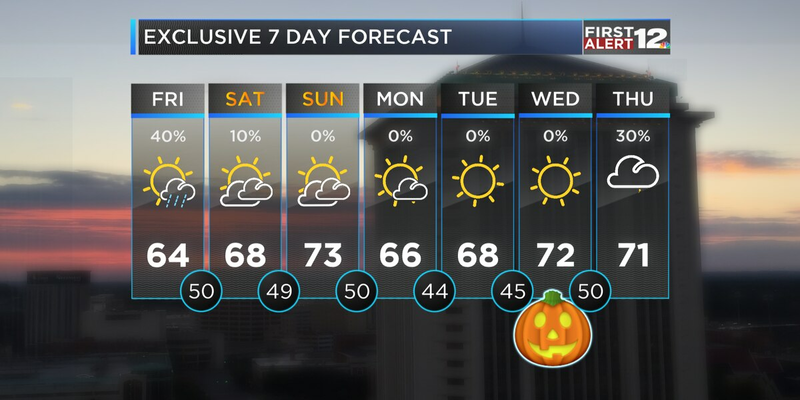 Hopefully, this system won’t speed up and bring rain to Halloween festivities. As of right now, we think it’s slow enough to keep Halloween dry. We’ll keep you updated!